The Board of Secondary Education, Andhra Pradesh (BSEAP) will declare the AP SSC Result 2019 on time. With the declaration of AP Class 10 result 2019, students will finally be able to check the outcome of their yearlong hard work. The result of AP Class 10 Board 2019 is expected to be released by the last week of April. After announcing the results formally, the BSEAP will also publish the AP Board SSC result 2019 in the online mode. This will enable the students to conveniently access their AP Board Class 10 2019 result. 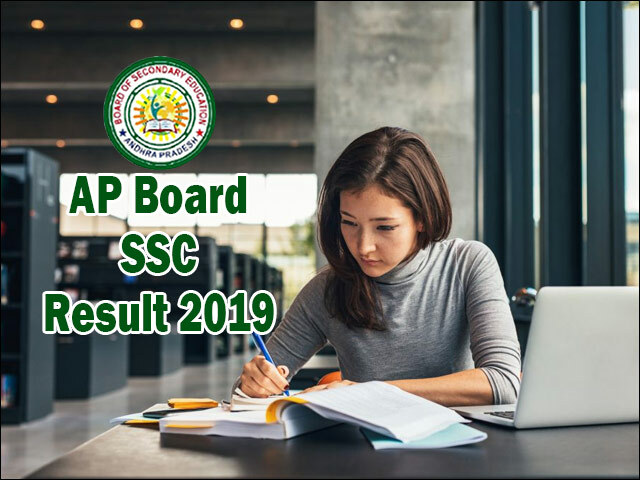 We will also publish the AP Board SSC 2019 result here on this page of our website. Upon formal announcement, lie links to check the AP Board SSC result 2019 will be made available. So, bookmark this page and visit it regularly to stay updated on all the latest information about AP Board Class 10 2019 result. Waiting for the declaration of AP SSC Result 2019 is something bound to cause anxiety among the students as they know that the outcome will directly influence their academic future ahead. Although the BSEAP has been silent about the final declaration date for AP 10th Result, experts have suggested that the BSEAP is likely to follow their annual academic calendar and will announce results on time. Rough estimates predict that the AP 10th Result 2019 is likely to be announced in the first or second week of May. This is based on the 40-45 days that are required to evaluate answer sheets and process result data for the board. Another important factor that has lent its support to aforementioned claim is the last year's result date, which was April 29.Looking at the above factors, the students can expect the AP SSC Results to be declared by the last week of April. Keeping in mind the convenience of the lakhs of students, the board will make the AP 10th Results 2019 available online on their official website i.e. www.bse.ap.gov.in. After the official announcement of the Andhra Board 10th Result 2019 it will also be available on jagranjosh.com here on this page. Where to Check AP Board SSC Result 2019? Once formally declared by the BSEAP Board, the students will be able to check their Andhra SSC Result 2019 online through a direct live link provided on this page. The live link for AP 10th Result will direct the students to the page from where the outcome of their hard work can be checked easily. In order to help the students stay on top of all the latest news and updates, our team will also be sharing all the latest news with you via this page. Critical news updates like the result declaration date, changes in announcement schedule, online checking procedure etc will be notified on this page directly. You can also receive these updates directly in your inbox by providing your email id and mobile number in the form given at the top of this page. Understanding of the key facts and figures of last year's Andhra Pradesh SSC Result can be of vital help to students. The analysis of AP SSC Result statistics can help the students understand the level of strictness in the evaluation followed by the board while reviewing the answer booklets. Similarly, based upon the performance of students in last year's result, you can also set realistic expectations for the upcoming AP 10th Result 2019. How to Check AP Board Class 10 Result 2019? Amidst the rampant rumours and widespread misinformation, getting right and reliable information about AP SSC Result 2019 date is a major challenge. This task is further complicated by the complete silence maintained by the board officials with regards to the AP 10th Result 2019 date. However, to offer a helping hand to the nervous students, our team would be sharing important and verified updates about upcoming Andhra Board 10th Result 2019 directly here on this page. You can also receive these critical updates about the AP Result 2019 for Class 10 students directly to your mobile inbox. For this, you will have to submit your email id and mobile number in the form provided on top of this page. Once registered successfully, our team will notify you about the important events and news about AP 10th Board Result through email alerts. Once checked online, we advise all the students to download a soft copy of the scorecard or take a printout of the AP Class 10 2019 result sheet from the website. This will act as a reference document for you until the original mark sheets are issued by the APBSE. But the students must also note that the online results are merely issued for information purposes and thus cannot be used for admission formalities. After the declaration of AP Class 10 Result 2019, BSEAP will also notify the Supplementary or Compartmental Exams for the students who have failed. The AP Board 10th Class Supply Exam is held for students who have not done well in the AP SSC Result 2019 and want to improve their exam score without waiting for an entire year. The Compartmental or Supplementary Exam for AP SSC Result 2019 will be held in the month of June and results will be declared by July allowing students to seek admission to intermediate colleges and schools in the same year. The detailed notification with application dates, fees and other details about the AP 10th Supply Exam will be released by the Board after AP Board SSC Result is announced. The Directorate of Government Examinations is popularly known as the Andhra Pradesh SSC Board in the state. The Board of Secondary Education, Andhra Pradesh (BSEAP) is an independent agency working under the aegis of Ministry Of Secondary Education, Government of Andhra Pradesh. The SSC Board is responsible for promotion, management and development of secondary level school education in the state. Similarly, the Intermediate Board Exams for Class 12 students are conducted by the Board of Intermediate Education, Andhra Pradesh (BIEAP). The Intermediate Education Board was set up in 1971 with the goal to regulate and supervise the intermediate level education in the state of Andhra Pradesh. As part of its various responsibilities, the BIEAP prescribes the syllabus and course curriculum for 1st Inter and 2nd Inter students. They also conduct the annual board exams for these classes in the month of February-March, every year. AP 10th Exam Hall Ticket 2019 for Class 10 students has been released by the BSEAP. School administrators can download AP SSC Exam 2019 Hall Ticket online from bseap.org. The Board of Secondary Education, Andhra Pradesh (BSEAP) has declared the AP Board Class 10th 2018 results on their official website, i.e. bseap.org. The Andhra Pradesh Board has announced the AP Board SSC Results 2018 on the official website, i.e. bseap.org. Check your AP 10th Result 2018 here. The Andhra Pradesh Board has announced the AP SSC Results 2018 on the official website, i.e. bseap.org. Students can also check their AP 10th Result here. The AP State Board of Education has declared the results of AP SSC Results 2018 on the official website, i.e. bseap.org. Students can also get their AP Results here. The Board of Secondary Education, Andhra Pradesh (BSEAP) has already begun the AP SSC 2018 examinations at different centers. The BSEAP or AP Board has released the admit cards for the Secondary School Certificate (SSC) or Class 10th Examination 2018 at the official website, i.e. bse.ap.gov.in. The Board of Secondary Education, Andhra Pradesh (BSEAP) has released the time table for Secondary School Certificate (SSC) Examination 2018. AP SSC Result 2017: AP 10th Result 2017 announced on bse.ap.gov.in. Nearly 7 lakh students can now check their Andhra Pradesh SSC Results 2017 on ap10.jagranjosh.com. BSEAP announced the AP SSC Results 2017 today in the afternoon. Now, students can log on to the official websites bseap.org and bse.ap.gov.in to check their AP BoardResults 2017 online. The AP 10th Class Result 2016 announced . Students who are keenly waiting for the result can check it at http://ap10.jagranjosh.com. The AP SSC Result 2016 will also be available on official websites of BSEAP i.e., results.cgg.gov.in and bseap.org.